As the inventor of HDCVI (High Definition Composite Video Interface) technology, Dahua continuously invests in the technology to rejuvenate existing coaxial-based systems since its launch in 2012 with its own patents. As the first to bring 4K resolution over coax, the first to introduce IoT into analog monitoring, and with versatile offerings such as multi-sensor and fisheye cameras, Dahua has formulated its HDCVI camera selection as the perfect choice to strengthen your existing coaxial system. 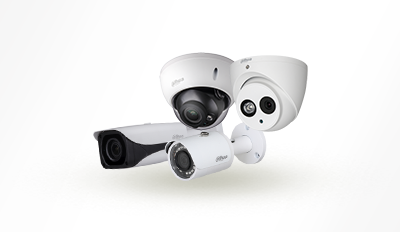 Dahua HDCVI cameras are separated into the Ultra, Pro, and Lite Series, which range from high performance with project oriented features to a cost/performance balance. Users can select cameras based on their needs. HDCVI cameras are used in applications where existing analog infrastructure is available and users have a need for the latest technologies, including 4M/4K resolution, IoT over coax, Power over Coax (PoC), and more.